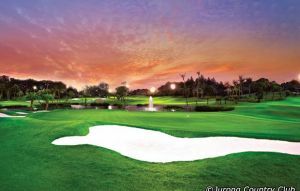 The opening hole is very typical of he challenges you will face with its rolling fairway and the well-protected two-tier green. A very challenging dogleg par- 4 follows and the dogleg gets more pronounced the further back you go. Your approach is to an elevated fairway to the green 20 metres below with a pond protecting the left side. The 4th is a medium length par-3 with a pond running alongside the raised tee boxes. 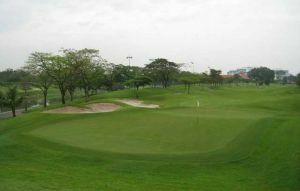 The large green is protected by bunkers both sides and slopes form back to front. The 5th is a short par-5 which is reachable in two with a strong drive. The 6th is a very attractive par-3 with a carry over water to a long shallow green with water in front and bunkers to the left side. 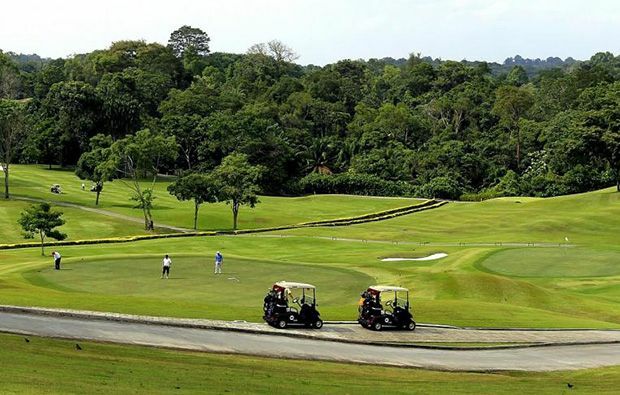 The short par-4, 7th slopes upwards from the tee and then levels off – the well-protected and sloping greens tends to kick balls towards the service road. The severely sloping fairway on the 8th hole means your tee shot will stop dead and you need to get in the right position for your approach to the elevated green. 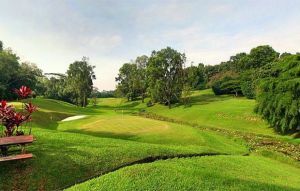 The 9th hole runs beside a small creek and the landing area is protected on both sides by water – a huge bunker protects the green with the Keppel Straits in the distance. 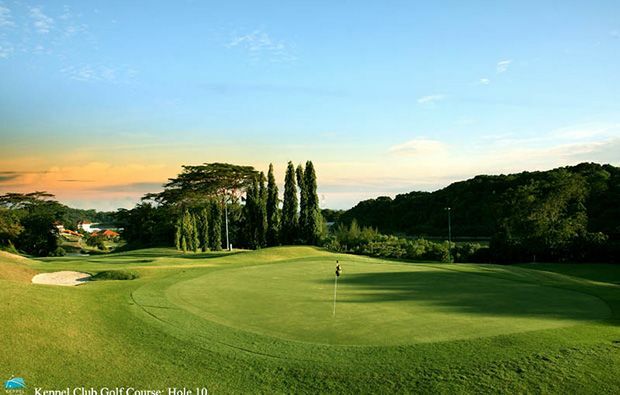 An intimidating start to the back nine as you have a forced carry of some 160 metres off the tee – from here the fairway slopes upwards to the elevated green protected by a bunker along the right hand side. The 11th is a downhill dogleg par-4 with a pond protecting the green. The par-3, 12th runs beside the pond with water running in front of the green making an intimidating target from the elevated tee boxes. The 13th is a tough but attractive uphill par-4 with a valley shaped fairway climbing up towards the green. The 14th plays straight downhill with a water hazard protecting the left side of the fairway and in front of the severely sloping green. The 15th is a great par-5 as you tee off into the valley and then the fairway turns slightly left up to the green with a very attractive. The problem on the 17th is trying to find a flat lie for your approach as the fairway is covered in mounds and hollows. 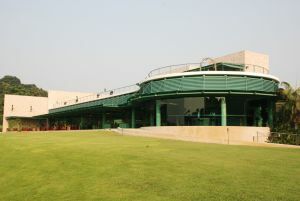 A challenging finish which demands a straight drive or you are in big trouble – it also needs to be quite long to get a good view of the green. 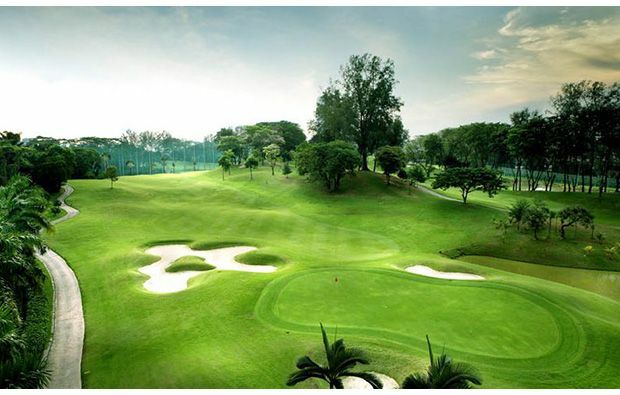 The club offers very comprehensive practice facilities an one of the best equipped and manned driving ranges in Singapore. 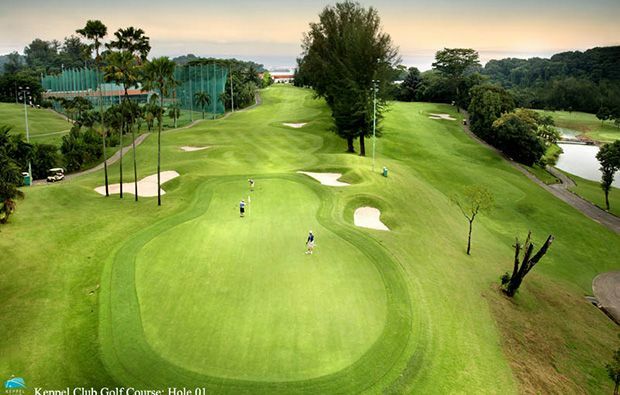 Keppel Club is not yet in our pool of Golf Courses for orders.